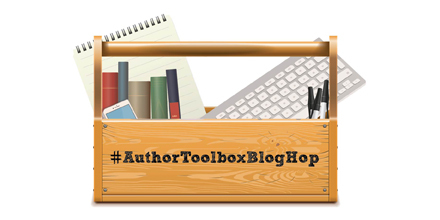 Focused on Story: Author Toolbox: What IS SEO? This always mystifies me, too. Good article, JQ! I have been using SEO and it does make a big difference, but gonna bookmark the page some good info here. Thanks for sharing it. Great tips :) I've heard SEO helps, but I've never tried it before. Time to experiment! Thanks, Erika. I forgot to mention tagging images. Each image should have a caption in case images aren't shown on your device. I've attempted to use keywords but I'm never sure I'm using the correct ones. This helps! Hooray, Ellie! Glad this post was helpful. Keywords are important. It'll be interesting to compare your traffic once you get your SEO going on your upgraded site, Raimey. The weird thing about SEO is that it's supposed to be natural, and yet wondering what words other people use to search for a topic can sometimes turn into a project that feels anything but natural. I've never really understood how to avoid using keywords if you are writing about a topic. I'm still not sure I understand the difference. If I'm writing a post about the First Lady, keywords could be White House, or First Lady, or a proper name, or wife of POTUS, is this the idea? Yes, so you could use those words in your article without looking like you just added them in. Keywords should be included in the piece, so write the article and then try them in the search finder of a search engine and see what comes up. You can use those words too. It IS complicated, I agree, but play with the words to see what will come up. Best wishes! This is so interesting. I have very little familiarity with SEO and should probably get with the 21st century and learn how to use it. Thanks for the info. You're welcome. Thanks for stopping in, Lee. Thanks for making it sound simple. SEO is talked about all the time, but sometimes I feel confused. Hi Susan. SEO IS confusing. Always mixing up SEO and keywords and finding them and using them and....so complicated. Glad this post helped! Thanks for the great article, JQ. I've learned so much since starting a blog six years ago. I do try to remember to use keywords. Another thing I do a lot more now is break my post up and use headings. Thanks for the link to the resources. You're welcome, Helena. Good tip on headings and keeping more white space instead of huge globs of text. Definitely a different format for online articles than for magazine articles or stories. Thank you, Charity. Thank you for stopping in. I never knew about SEO until I moved from Blogger to WordPress and Shannon Mattern (from wp-bff.com) recommended I install the Yoast SEO plugin. I definitely recommend it for WordPress users, as it teaches you what you need to do to ensure your posts are optimised.